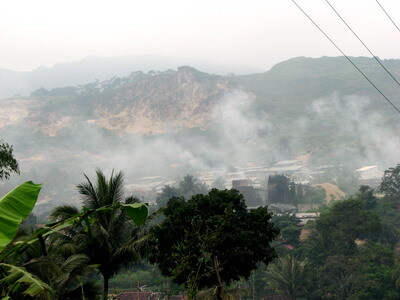 Karst Padalarang in West Bandung is known as the place for marble mining. A lot of limestone hills have been dissapeared from the earth because of greedy people. 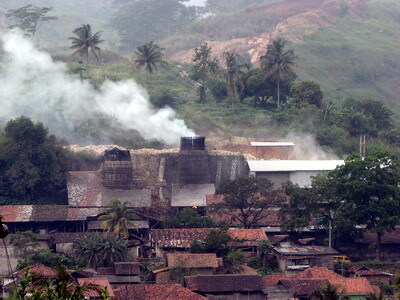 The karst landscape is already destroyed by numerous “traditional” limestone mining and a lot of handycrafts as a result of this activities soled along the road. The padalarang Karst is the oligo-miocene carbonate deposited and on the high altitude. 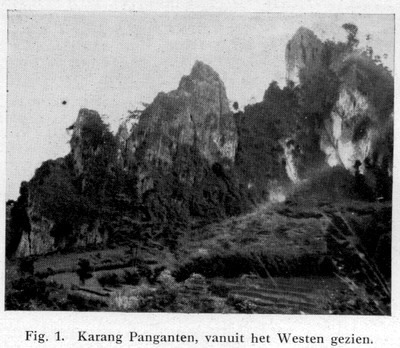 I found the old picture of Padalarang Landscape called Karang Penganten in de Tropische Natuure (1933) written by L. Van de Pijl with title ” De kalkaflora van Padalarang” de Tropische Natuur 22(1): 86-99 page: 87.
now, this hill is not possible to find in the area. If youa have any ifnformation about KARANG PANGANTEN in PAdalarang Karst, please let me know.